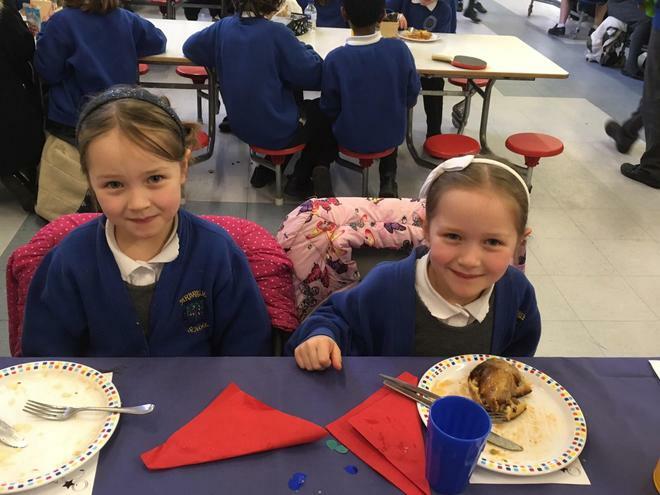 We are so fortunate at Pirbright to have the most delightful of children and the effort they go to in helping out around the school is wonderful. 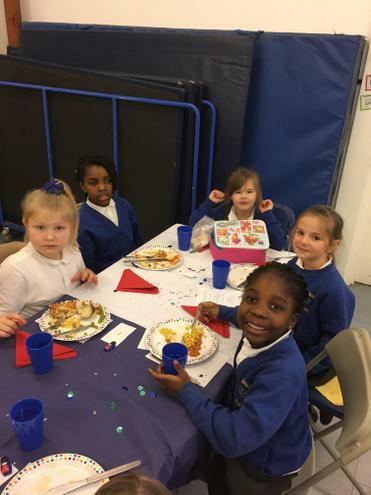 There are a small band of girls who have consistently helped out in the lunch hall for nearly half of the school year now so we thought they deserved a treat! 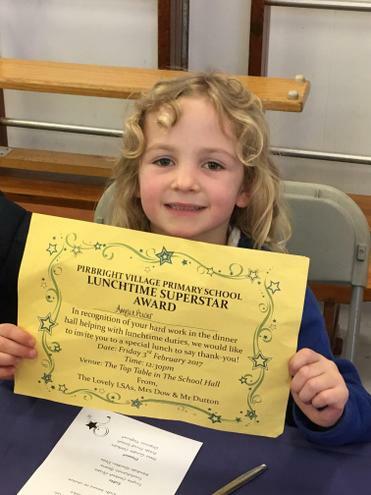 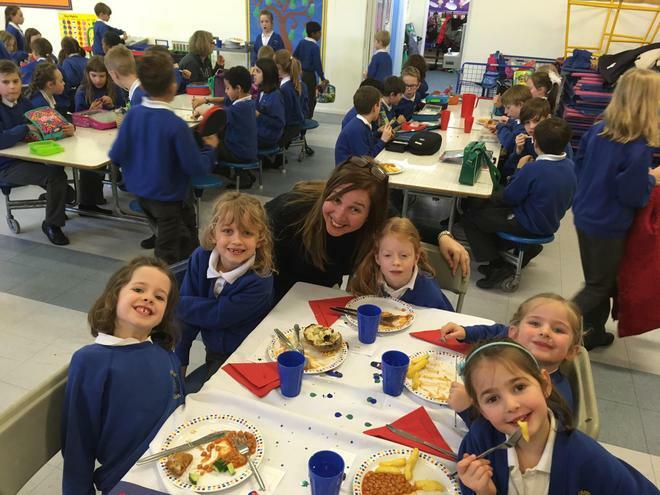 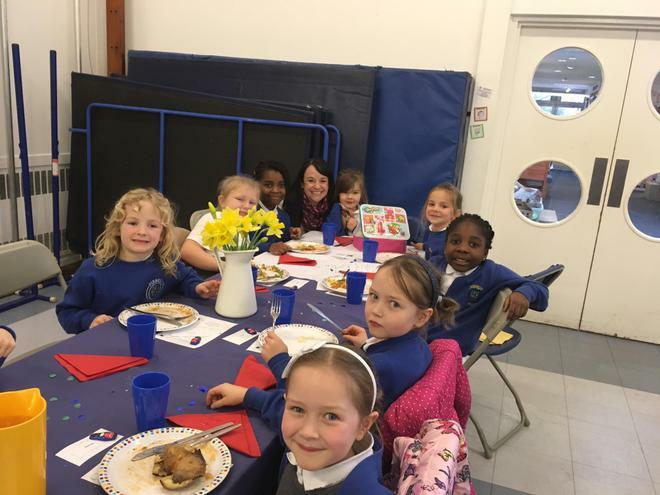 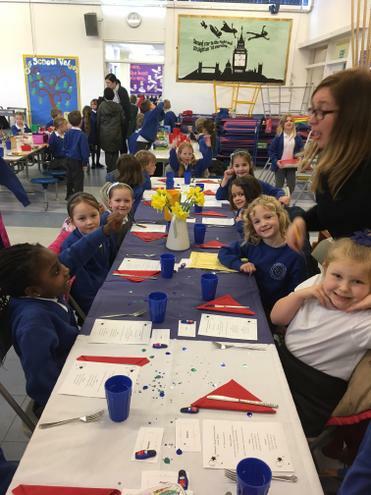 Earlier in the week, they received invitations to a special lunch at the “top table” in the dinner hall where they were waited on by Mrs Cannon and Mrs Dow. 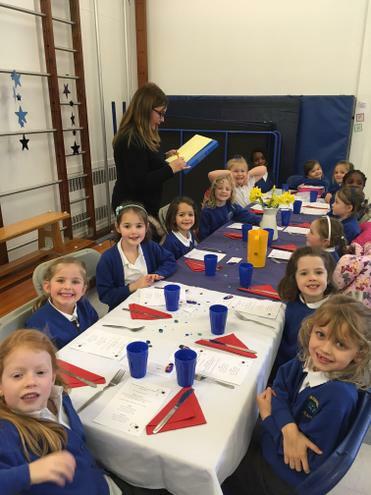 It was certainly a lunchtime to remember!